He's just as into Khaleesi as the rest of us. 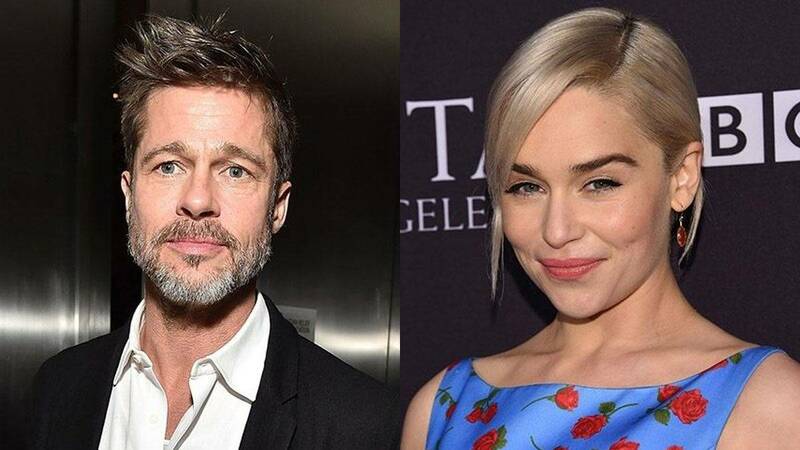 Brad Pitt bid $120,000 (P5,991,600) to watch Game of Thrones with Emilia Clarke—and he still lost! Hot damn! Both Brad and Emilia were attending the Gala Dinner to Benefit J/P Haitian Relief Organization in Los Angeles on January 6, 2017, when Brad decided to bid on a major auction item: The chance to view an episode of Game of Thrones next to the IRL Khaleesi. "During the first auction, Brad was on his phone. When the auction announced Emilia Clarke, they called her out in the crowd and Brad literally turned his whole neck to find and look at her and enthusiastically clap," an attendee told Us Weekly. "He offered $80,000 (P3,994,400) in the auction to watch Game of Thrones with Emilia." The source continued: "Emilia was covering her mouth and giggling. Leo [DiCaprio] enthusiastically watched the whole auction, turning his head back and forth between Brad and Emilia. [Pitt] later offered $120,000 and raised his arms in excitement but was out at $150,000 (P7,489,500). He laughed hysterically when he gave up and they called him out for it." Brad! You gave up!? We know you have the moola! Someone else won the auction for $160,000 (P7,988,800), and later spent $40,000 (P1,997,200) for a Hoop Dreams experience. I'm not sure what that is, but if it doesn't involve dunking basketballs with Drogon, I don't give AF.